REDMOND, OR -- The Oregon Legislature’s Joint Committee on Student Success visited Central Oregon schools, this week, on its tour of districts across the state. 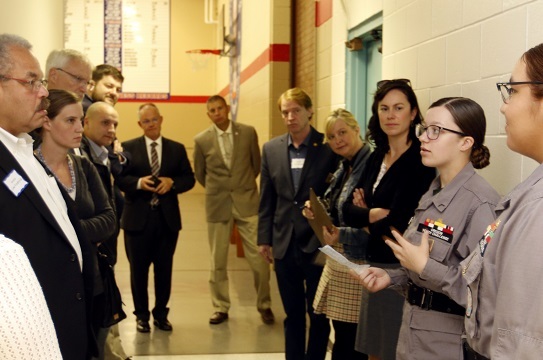 The group of bipartisan lawmakers stopped at the Oregon National Guard Youth Challenge Program, in Bend, to learn about its academic structure and meet with cadets (pictured above). 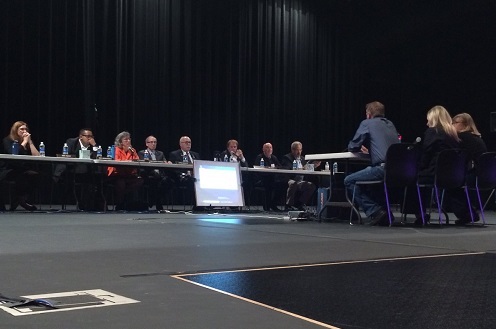 They also toured Redmond Proficiency Academy, Thursday, before hearing from area families at an evening public forum at Ridgeview High School (right). The committee hopes to learn what’s working in public schools to eventually improve state education policy.